Looking for Educational books for your child? 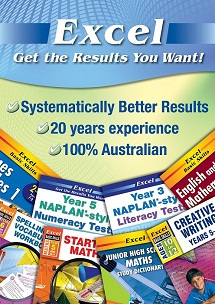 At Charnwood Newsagency you will find all the latest and best selling Excel work books ranging from pre-school to VCE. Visit us in-store at Charnwood Newsagency to browse the entire range of Excel work books. Excel work books are developed by Australian authors who are dedicated to helping students excel.